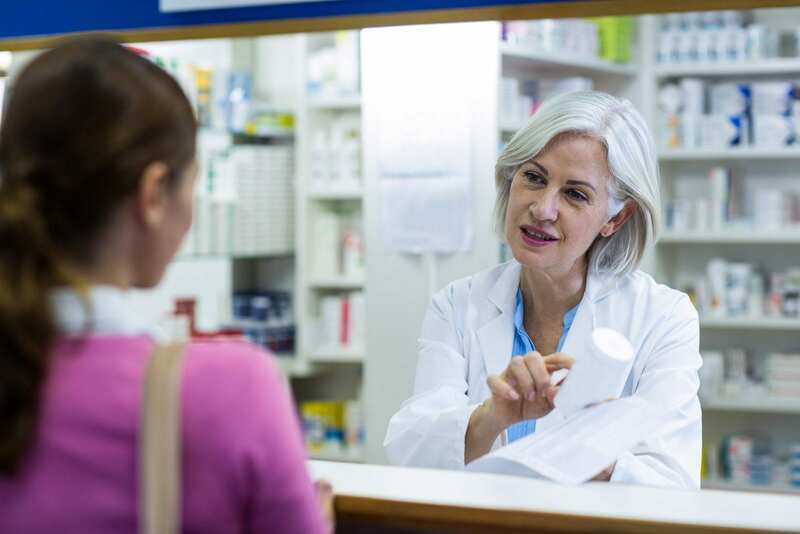 Under the direction of a registered pharmacist, pharmacy technicians receive and process prescriptions for dispensing to patients. Pharmacy technician programs enable a student with no prior experience in healthcare to develop the expertise to create and update patient profiles, calculate dosages, interpret prescriptions, manage inventory, operate pharmacy equipment and interact with patients. Students gain a knowledge of generic and brand name medications and their effects on the body and understand the laws that govern pharmacy practice. Upon completion of the program, graduates have the option to sit the PTCB exam for national certification, which will give them an edge in the competitive market. 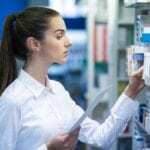 Pharmacy technicians work in hospitals, retail pharmacies, mail-order pharmacies, home health care organizations, long-term care facilities, and with the federal government. The average hourly rate for pharmacy technicians in South Carolina is $9.22 to $14.48 depending on location, certification, and training. The pharmacy technician program at Remington College prepares adult students for a career in pharmaceuticals. The school’s mock pharmacy setting supports to the program’s goals to develop competent technicians who will be confident in any pharmacy setting. In the school’s pharmacy lab, students will fill mock prescriptions and prepare compounds using common chemicals. Experienced instructors will use lectures and lively demonstrations to cover the history of pharmacy, inventory control, pharmacy calculations, pharmacology, the top 200 drugs, pharmacy terminology, processing prescriptions, aseptic techniques, administration, and pharmacy law and ethics in the classroom. The fully stocked lab contains all the chemicals and equipment students need to learn compounding methods and simulate handling hazardous compounded medications. Students will also have opportunities to manipulate needles and IV bags, practice heat fusion, and use the appropriate personal protective equipment to prepare medications for IV administration. A pharmacy externship will provide further opportunities for skills development as students learn how to prepare prescriptions, process refills, file insurance claims, and attend to customer service issues in a real-world setting. Tuition for the 53-week program is $20,520. Midlands Technical College’s pharmacy technician program is accredited by the American Society of Health-System Pharmacists. 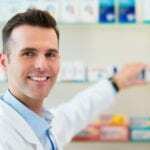 Students learn how to perform pharmacy operations under the supervision of a registered pharmacist. The curriculum includes classroom lectures, online study, and experiential opportunities to develop the technical skills that are critical to care in a pharmacy setting. During the pharmacy externship at a community pharmacy, students will learn to prepare drugs, fill prescriptions, calculate dosages, prepare and update patient profile records, work with controlled substances, compound medications for IV, and perform administrative duties. Students must purchase standard white lab coats and a name tag and technology patch. Completion of the program hinges on the student’s ability to secure a minimum grade C in all science, mathematics, and pharmacy courses. Persons interested in enrolling in the program must pass the college placement test and meet the admission requirements for enrolling in the college and the pharmacy technician program. Criteria for the pharmacy technician diploma include an acceptable criminal background check and drug screen results, preadmissions interview, a high school diploma or equivalent, current CPR card, and submission of completed medical forms and immunization records. Computer keyboarding skills are recommended for entry to the program. The program tuition for completing 49 credits is $7,840. PSCD’s pharmacy technician program prepares students for a rewarding career in health in just 12 weeks. Graduates are able to go from the classroom to function as competent assistants to registered pharmacists in any pharmacy setting. The curriculum includes classroom and practical training in controlling pharmacy inventory, receiving and processing prescriptions, perform pharmacy calculations, compounding sterile products, pharmacology, NDA process, pharmacokinetics, and HIPPA and regulatory laws that impact pharmacy practice. Interested persons can register for the class online or in-person. A high school diploma or GED equivalent is required for admission. PSCD offers evening classes to meet students’ busy working schedule. Classes meet on Wednesdays from 6:00 pm to 9:00 pm for 12 weeks. Job placement assistance is available for all graduates. Tuition for the program is $2,100. The pharmacy technician program at the Professional Medical Training Center provides students with the skills that are essential to assist a registered pharmacist in the preparation and dispensing of medications. Through lectures and practical learning experiences, students learn how to interpret prescription hard copies, calculate dosages, process prescriptions, the laws that govern practice, and how to compound and package medications. Instructors will also provide information and encourage students to become registered technicians. Classes meet Mondays and Wednesdays from 5:30pm to 9:00 pm for approximately 12 weeks. Upon completion of 105 hours of training, students will receive a certificate of completion. Graduates will also receive an application to take the PTCB for national certification. Persons interested in enrolling in the program must be 18 years or older, and have a high school diploma or GED and proof of CPR certification. Tuition for the program is $1,349. A weekly payment plan is available. Books, CPR, lab coat, and PTCB exam fee are an additional expense.